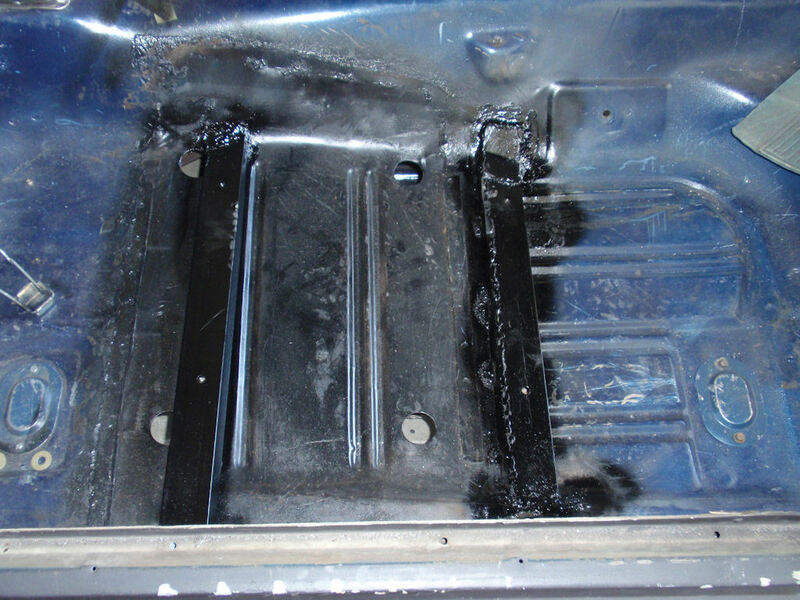 Here is how I did the front seats for my 67 Mustang. The seats I'm putting in are from a 1999 Mustang with the power drivers side. I cut the original seat pans out and made some brackets from 2"x1"x.25" channel for the front and .25" strap with a welded on rib for the rear. 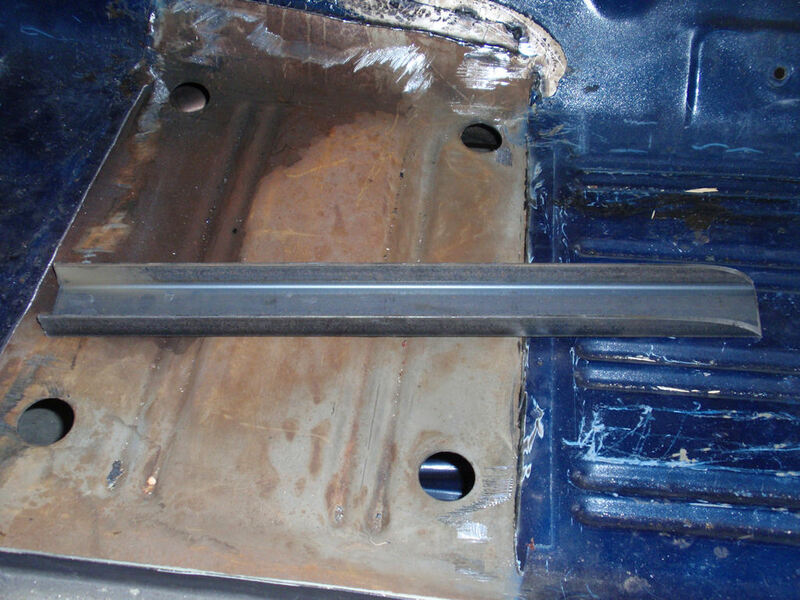 Taking the seat pans out will have removed some stiffness from the chassis. 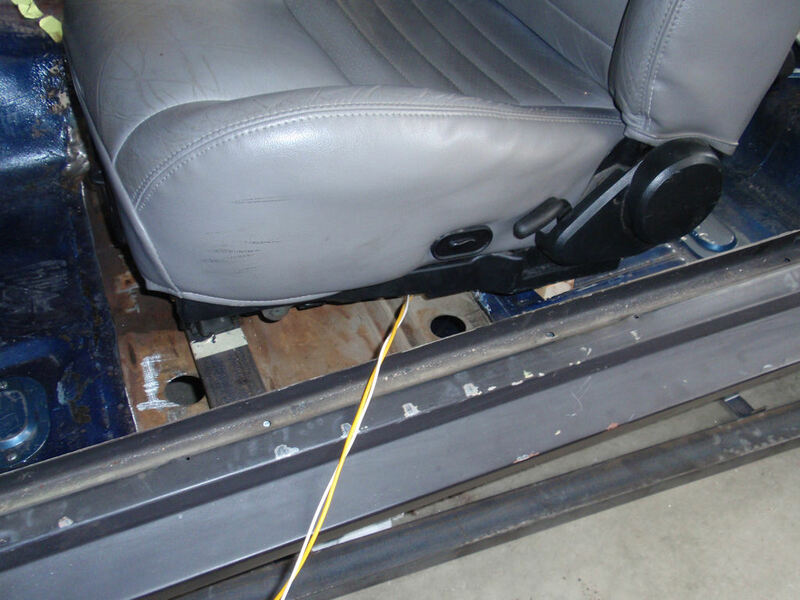 My plan to address this is to add sub frame connectors which I will also tie to the floors under the seats. When its all done, I expect it should be a solid installation. I will get some shots of the sub frame connectors up when I get them installed. Seats are installed minus the subframe connectors. I think I'm going to go with the TinMan set. I like the way they follow the contours of the floor. Should make tying the floors into them easier. I did find someone who did a set home brew that I was going to make, but then found the TinMan connectors which are the same design but bent instead of welded. Decided to save some time and buy the bent up ones. 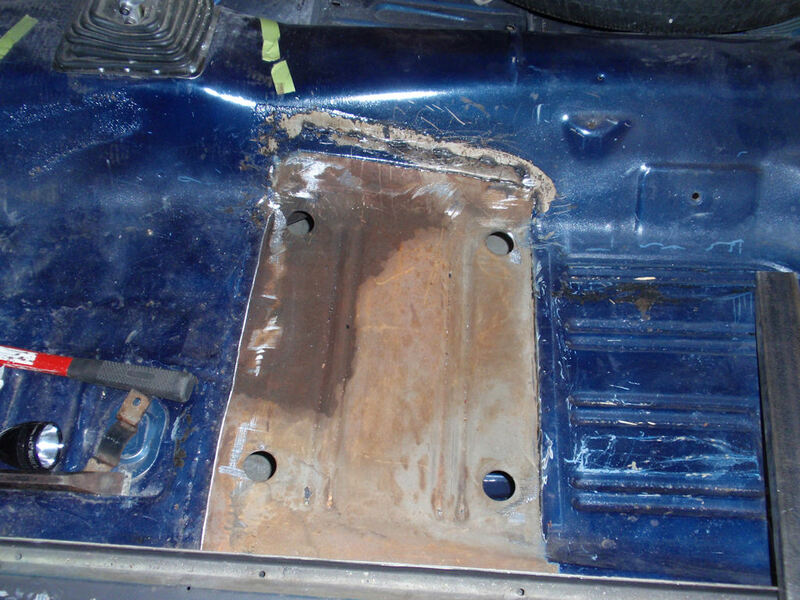 Drivers side front seat pan cut out. 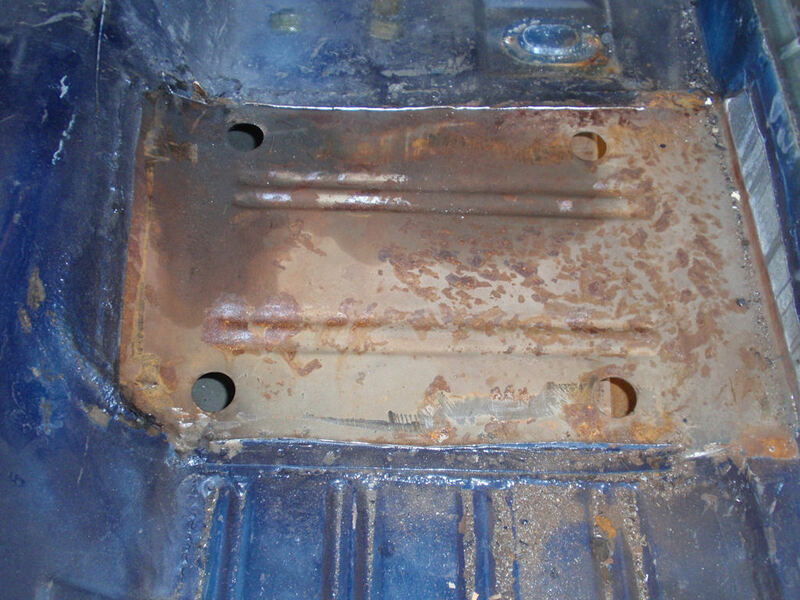 The lower picture shows the channel steel for making the mount. In the end, the tunnel side will be almost flat on the floor. This was the first test location for the front mount. Too far forward and much too high. It was located over the original mounting holes. Drivers seat test placed. The front mount is now just behind the original hole locations ( about two inches ). The back is sitting on a block of wood to approximate the mountion height. At this point the seat is still too high. Wires are connected to a battery to test seat position. Here the front and rear mounts are in. I originally set out to use channel for the rear mount as well. It ended up being right on the floor. Because the mounts are tilted, the rear edge of the rear mount is on the floor and the front edge is raised. 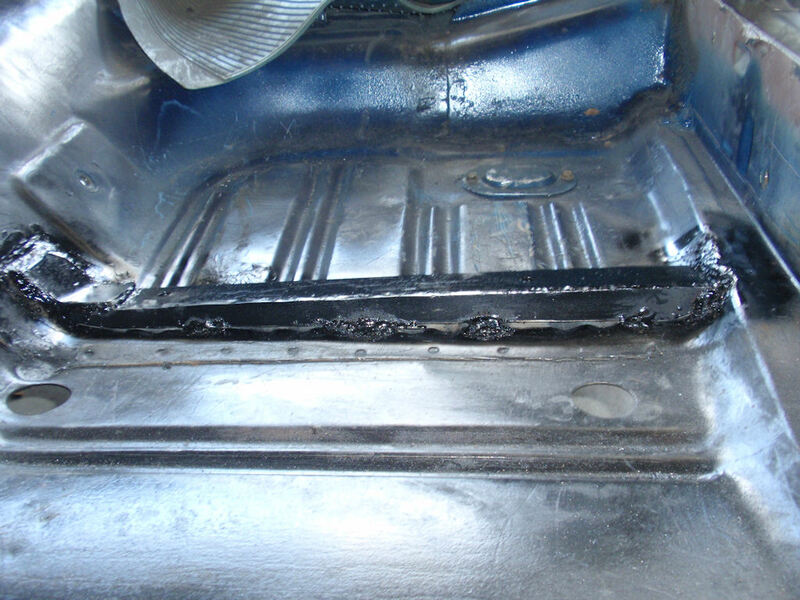 I welded a rib to the front face of the rear mount to add stiffness ( was needed ) and tied the botton of the rib to the floor. 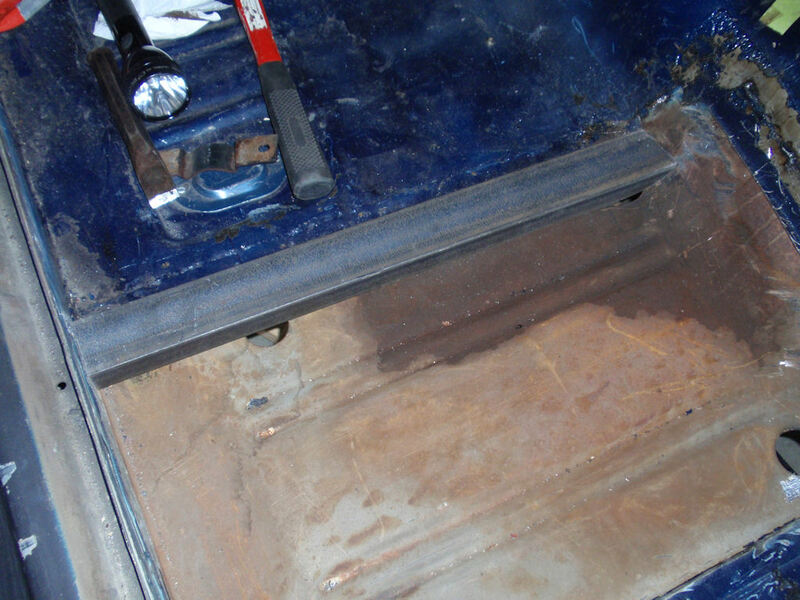 The tunnel side of the rear mount was flat on the floor and not really tied into the tunnel very well. I added a piece of 1/4" strap to the top of the mount and to the tunnel. Some shots of the seats in place. Now I get to do the whole thing over with the passenger side. This should go much faster now that I have an idea how things will fit.